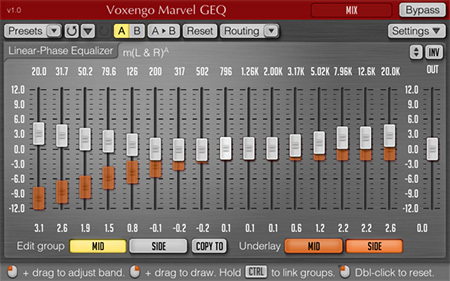 Marvel GEQ, Software graphic EQ from Voxengo. 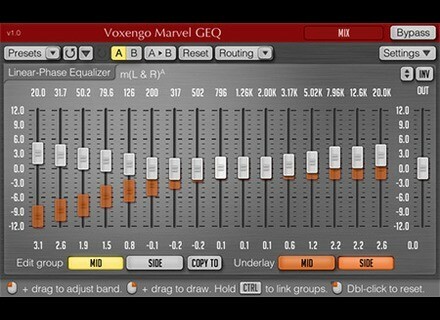 Marvel GEQ is a linear-phase 16-band graphic equalizer plugin with multi-channel operation support for music production applications, available in AAX, AudioUnit, VST and VST3 plugin formats (including native 64-bit support) for Mac OS X (v10.6 and later) and Windows computers. Download and more details are available at Voxengo's website.